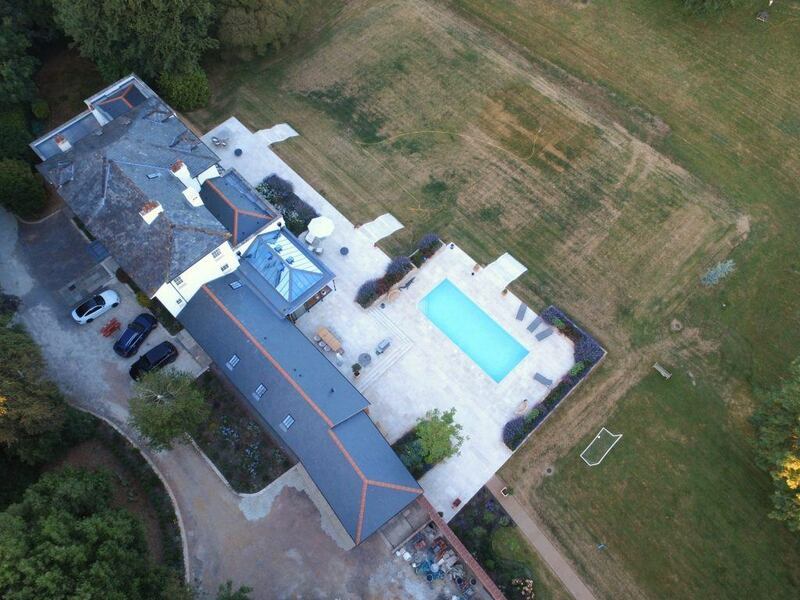 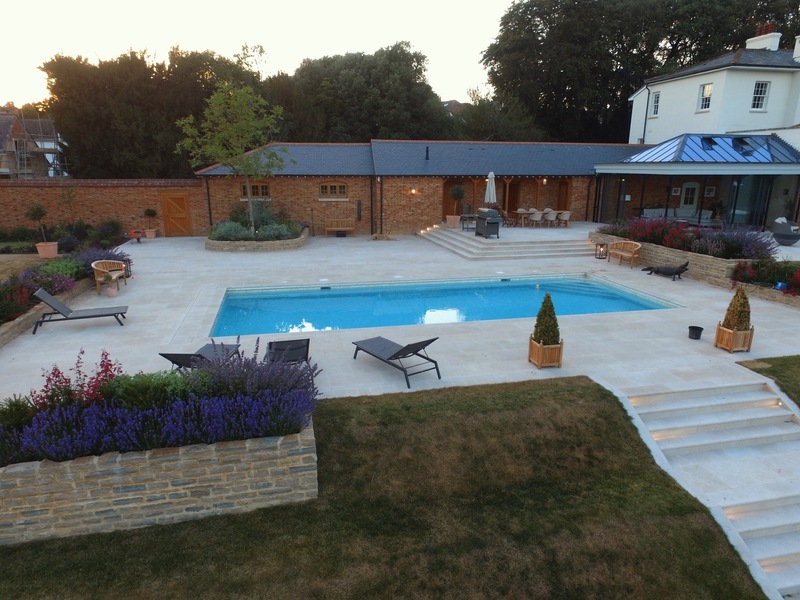 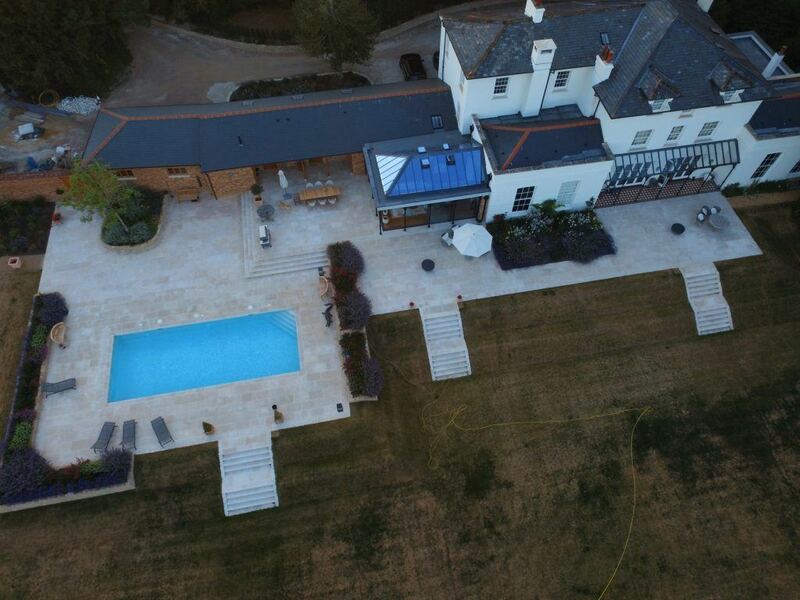 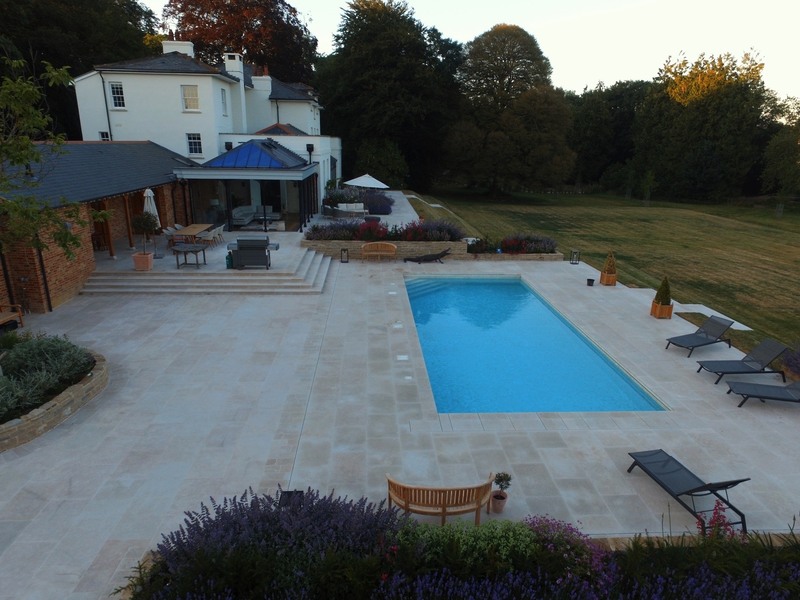 We contracted in to work alongside David Wren, Architect and install the large paved patio and pool areas. 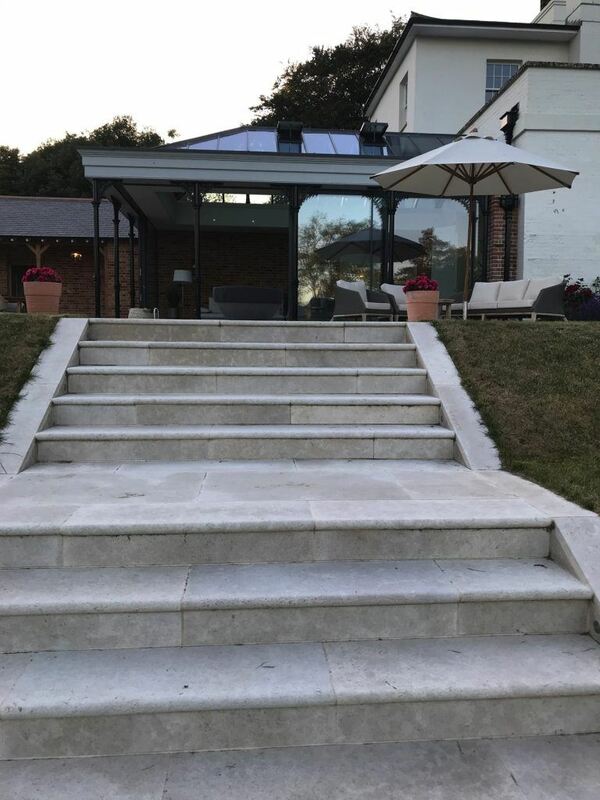 The client selected the products, Cranbourne Stone Fossil Pearl Satin contemporary Limestone along with bespoke cut steps and edging to create a terraced feel. 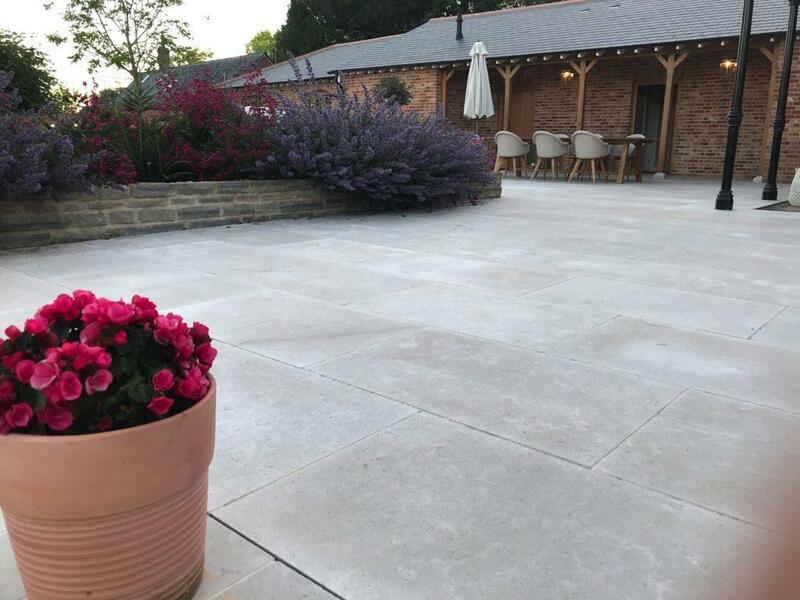 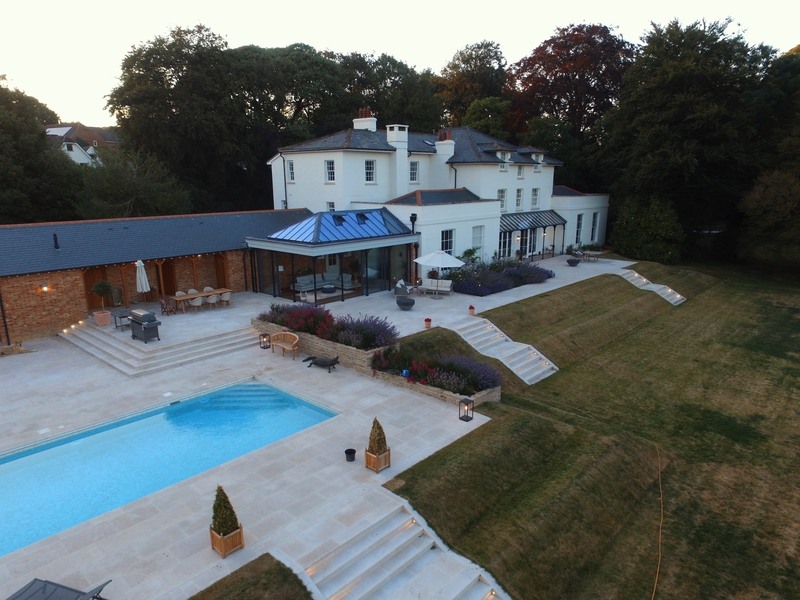 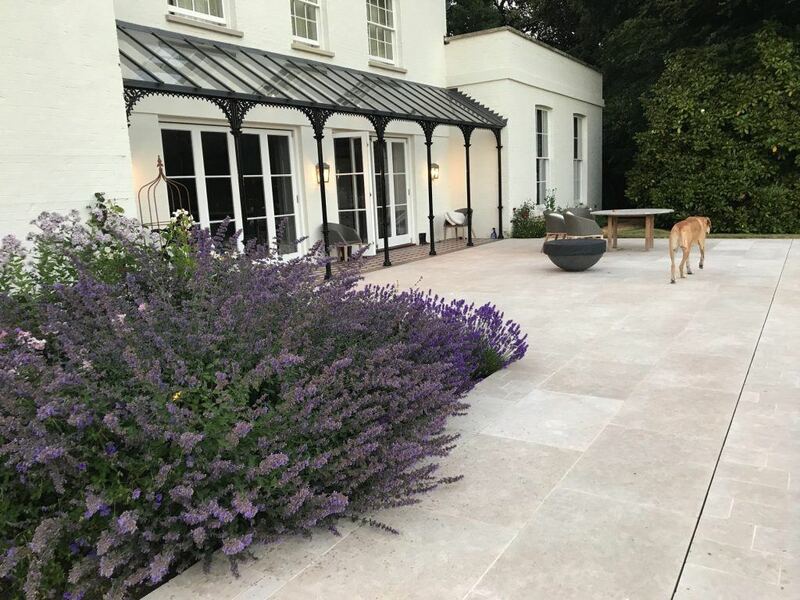 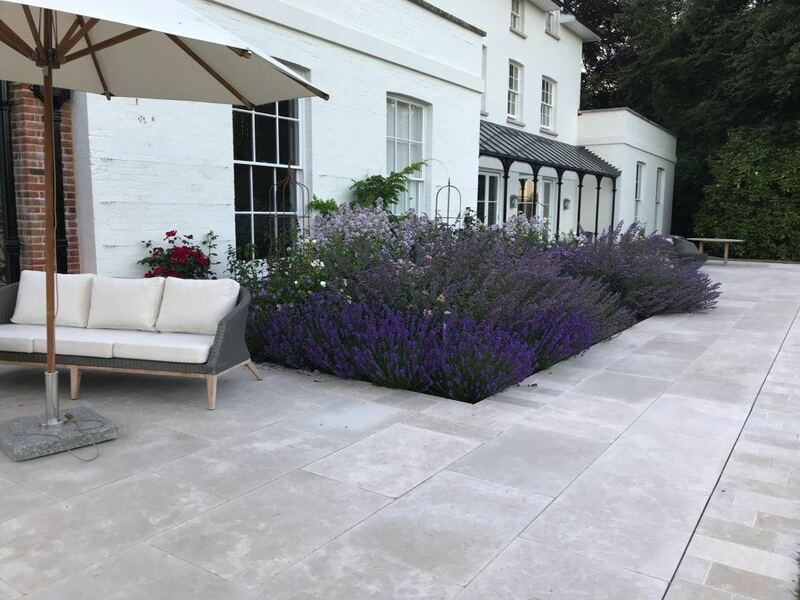 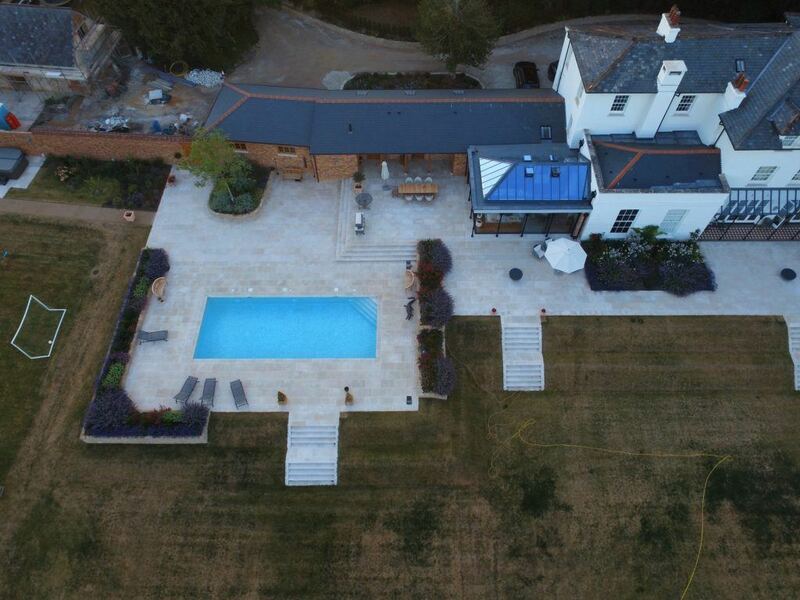 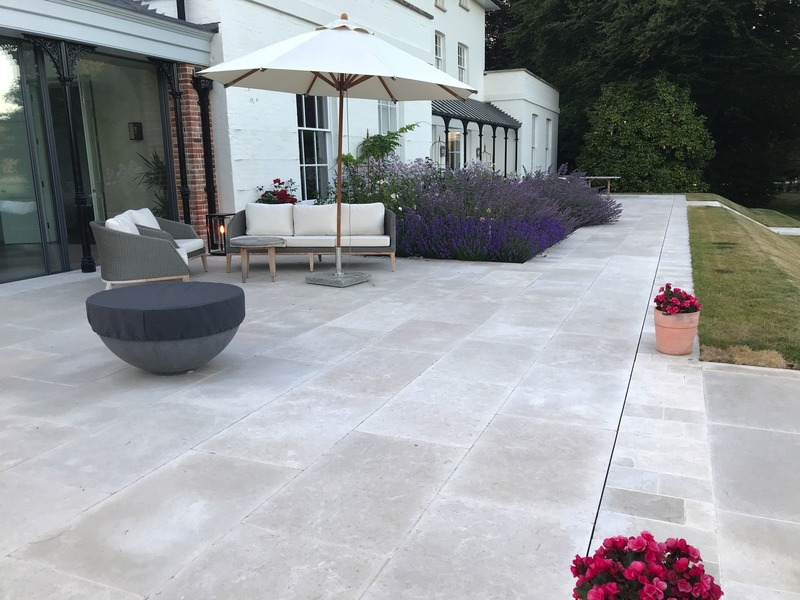 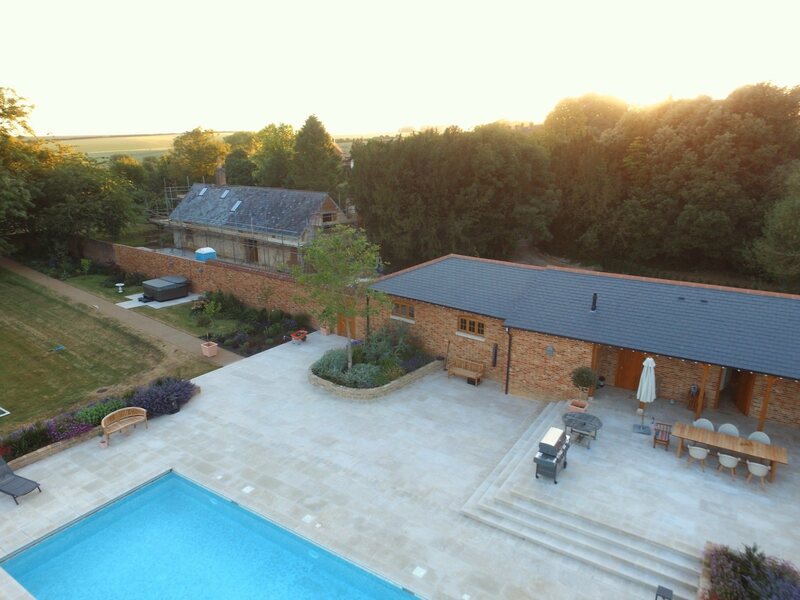 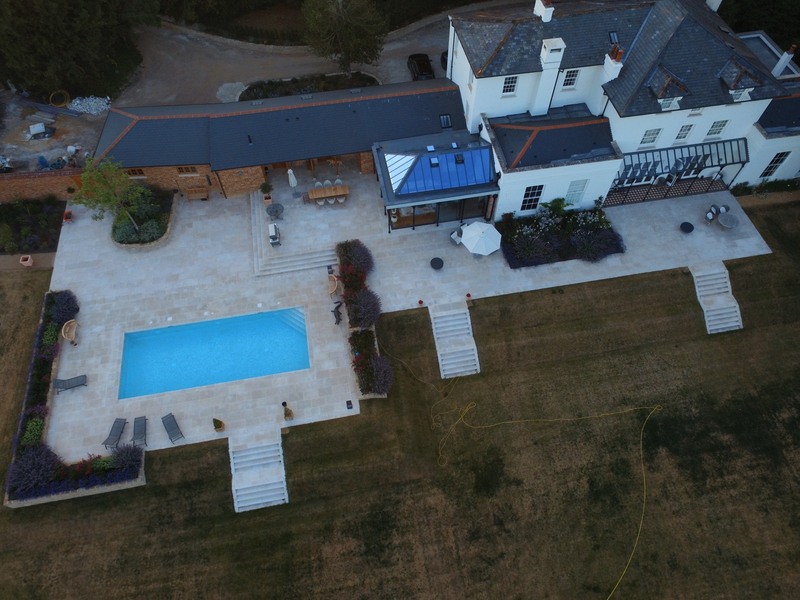 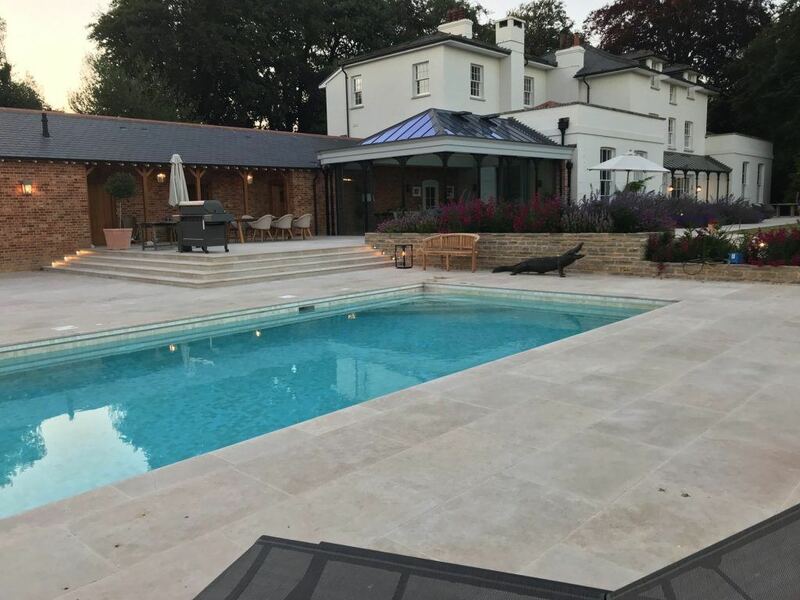 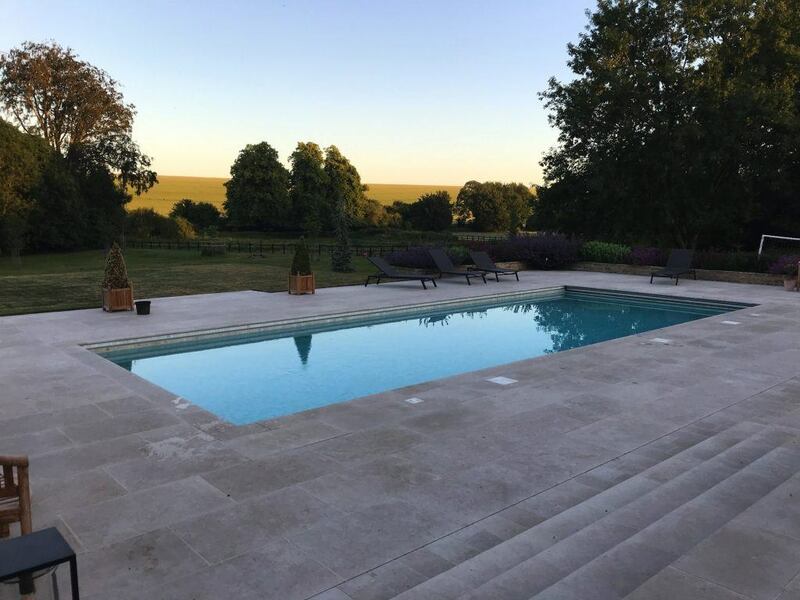 The paving had to complement the refurbishment of the old house and barns and was carried out with the same quality, care and attention that was bestowed upon the property. 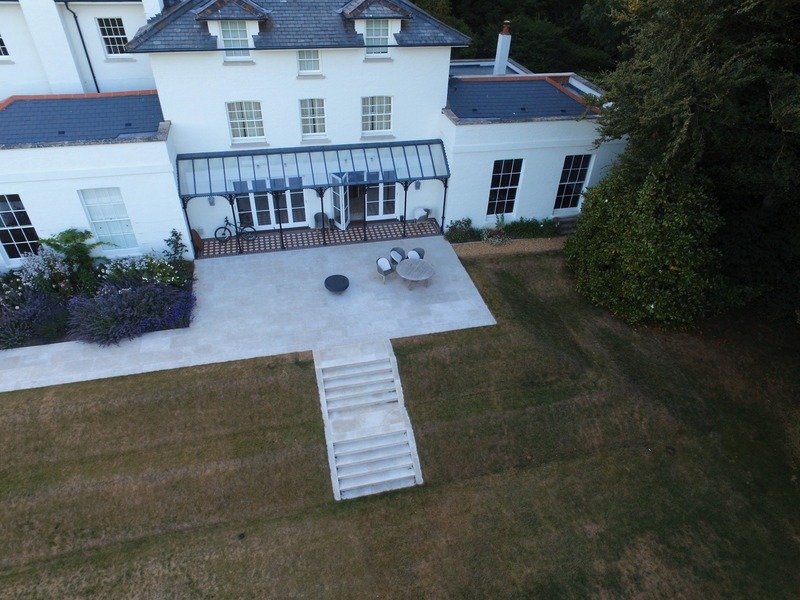 All hard landscaping works were carried out to the drawings and levels as stated by the architect and engineer. 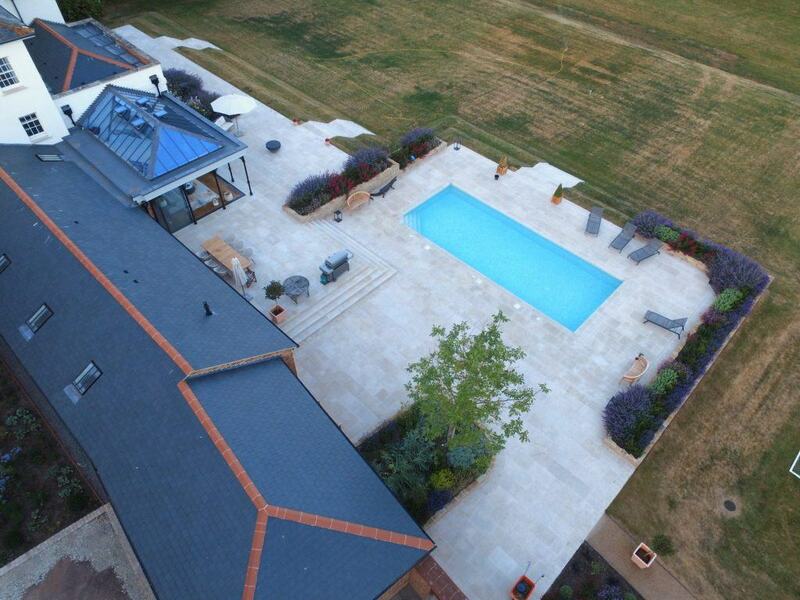 The finished project is nothing short of amazing, the client was thrilled with the new patio and terraced areas. 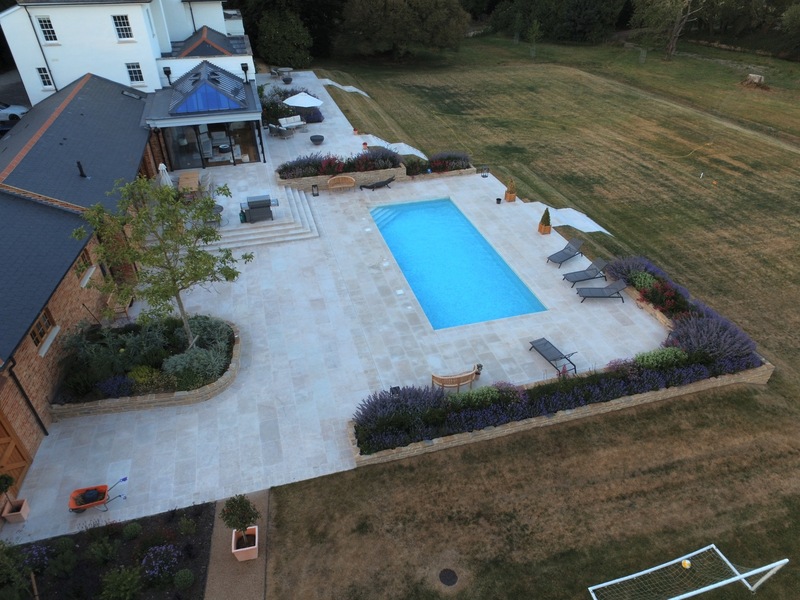 The photos show just what a grand scale this project was on and the beautiful property it surrounds.